Those who wait for the Future will always be late. There is no such thing as “The Future”, because it isn’t a thing. It is an on-going process that needs a very precise and specific approach to be understood and use for the better. But how do you prepare for the Future when you have no idea what it holds for you? How do you make the right decisions, stay ahead of the coming and change successfully, when you don’t know what is heading your way? The last 30 years went fast, the upcoming 30 years will go even faster. 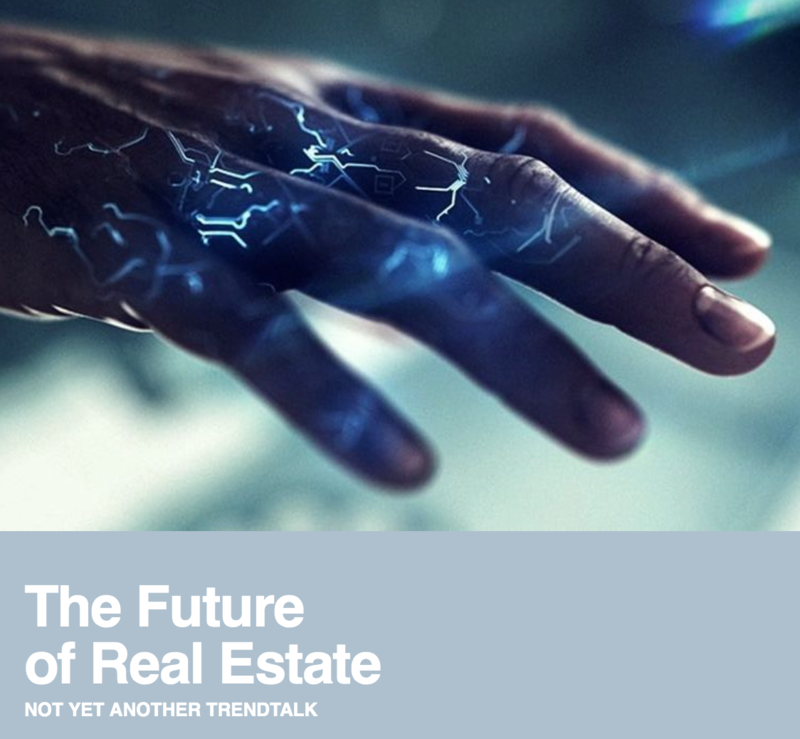 With “The Future of Real Estate – Not yet another trendtalk” lectures, you can prepare for that unknown Future in an innovative and efficient way. A distant Future, offering a helping hand for tomorrow. As the name already explains, this is not your regular trend talk. We believe that understanding the future is not general knowledge, but a personalized experience. Moreover, we are quite sure that offering inspiration alone, isn’t the driver for long-term, valuable change. 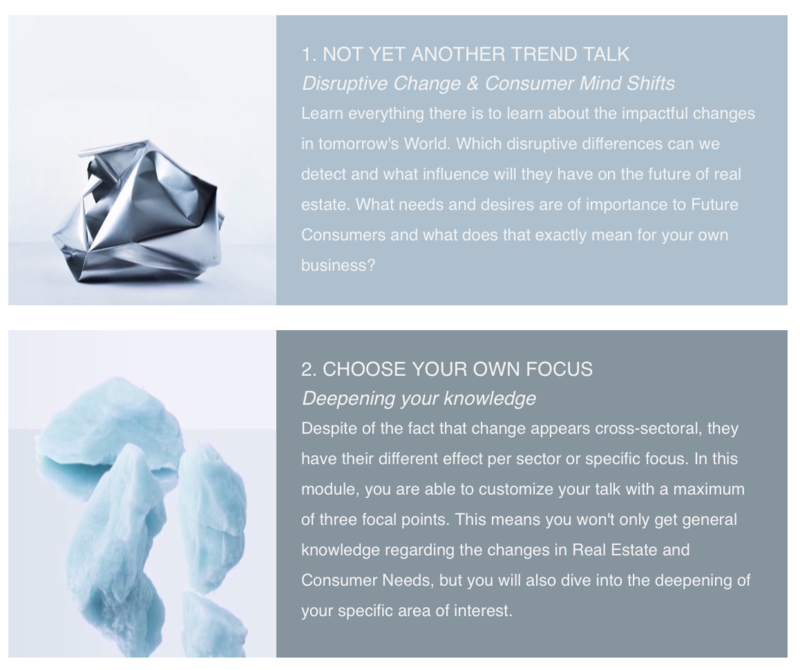 Not yet another trend talk is a customisable, modular trend lecture that you can tailor to your own wishes by choosing yours from a diverse pallet of modules or upgrades. At our lectures we do not tell you something we believe you should know, but you will tell us what it is you want to know. So, we know for sure, that we will tell you, what is valuable to you, and of course we go beyond your expectations. 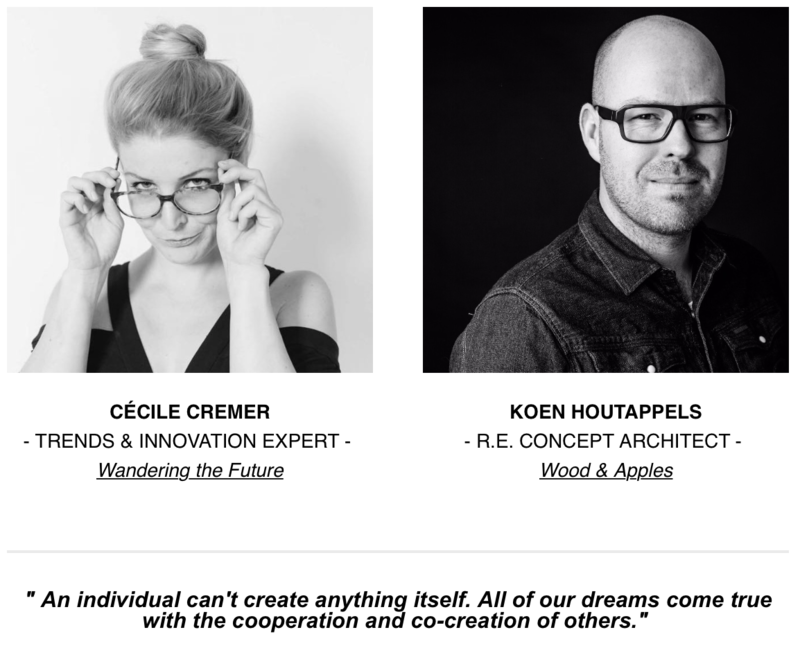 Cécile & Koen believe that sustainable ideas and valuable changes originate from the combination of interdisciplinary bright minds. From that vision they decided to join forces, so they can positively disrupt the Future of Real Estate by making tomorrow tangible and by offering tools for future-proof development. With her far reaching knowledge in Trends & Innovation and his excellent reputation as R.E. 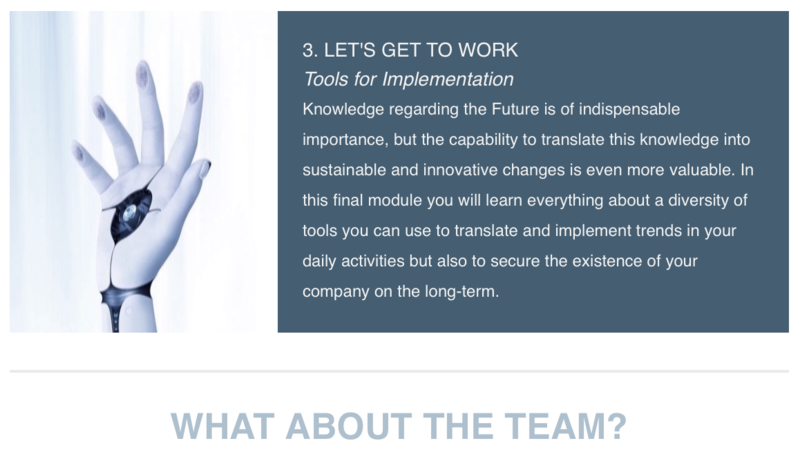 Concept Architect, they have the NOW, the FUTURE and the CREATIVE TRANSLATION in one team.